The bottled wines are Refosco dal Peduncolo Rosso, Uis Neris (black grapes in the Friuli dialect), Uis Blancis (white grapes in the Friuli dialect), Verduzzo Friulano, Friulano (from the Tocai Friulano vine), Rosé di Refosco dal Peduncolo Rosso and Merlot. In 2013, Denis Montanar started producing Toy Wine, a sparkling wine made using traditional methods and offered only in a magnum sized bottle. The vineyards have been grown organically since 1996. The grapes are hand picked and all wines ferment with only indigenous yeasts and are never clarified. Denis Montanar conforms to all three levels of the Renaissance des Appellations’ Charter of Quality (www.renaissance-des-appellations.com, www.renaissance-italia.it, ), which is a respected precise program for producing natural wine. 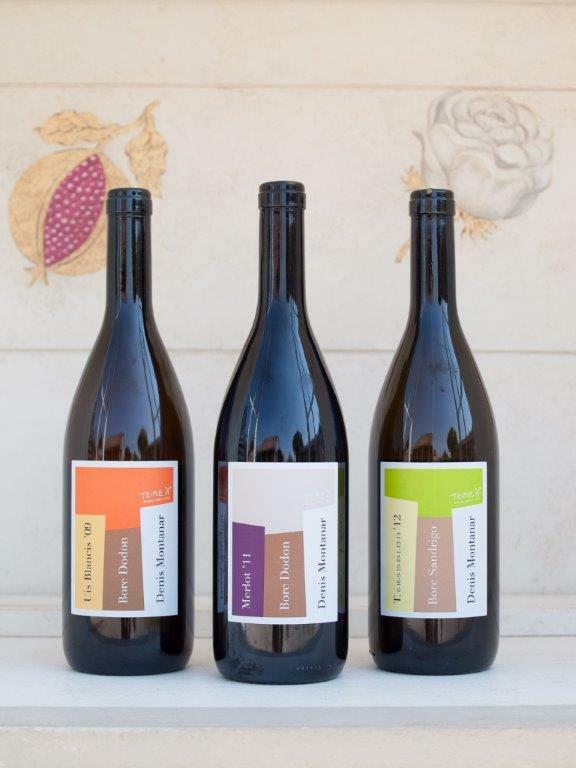 Also, Denis Montanar’s wines are part of the promotion and distribution network Triple A (Agricoltori, Artigiani Artisti) from Velier – Genova, which imposes strict production regulations. See the article about Triple A here (in Italian).